This guide discusses the benefits of 3D printing snap-fits and gives design and material recommendations. 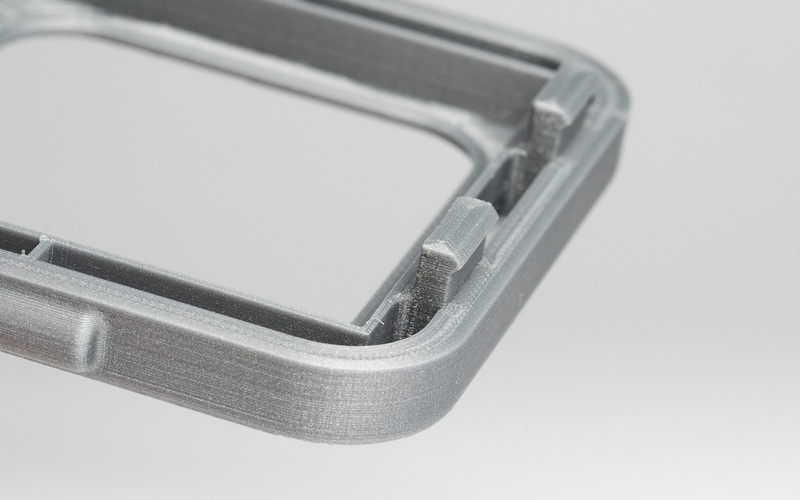 Snap-fit joints are a quick and easy way of connecting two 3D printed components together using interlocking features. Not only are they a low cost and time saving connection method but they can also reduce the number of parts in an assembly and offer the possibility of rapid assembly and disassembly. 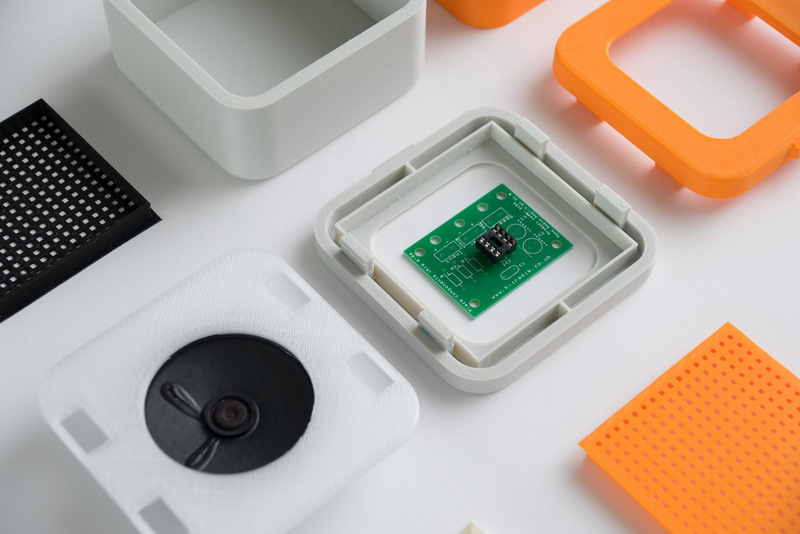 This article discusses the most appropriate snap-fit connections for 3D Printing, presents good design practices to consider when designing snap-fits with plastics and briefly introduce advanced design specifications redirecting the reader to more detailed information on this topic. Finally this article examines which 3D printing process are more suitabile to manufacture your snap-fit connections. 3D printed snap-fits also do not have injection moulding design limitations (draft angles, separation lines, wall thickness, undercuts etc) and can be easily designed and altered. This makes them ideal features for rapid prototype generation where clearance and fit are critical and because of this they are often applied in the design and testing of enclosures. 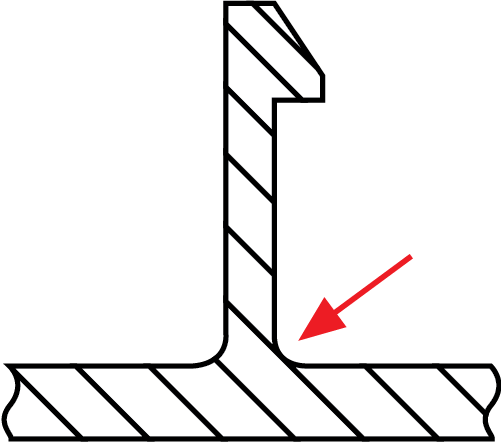 The cantilever is the most common snap-fit joint and consists of a protrusion (some type of bead or hook) at one end of the beam and a structural support at the other end. 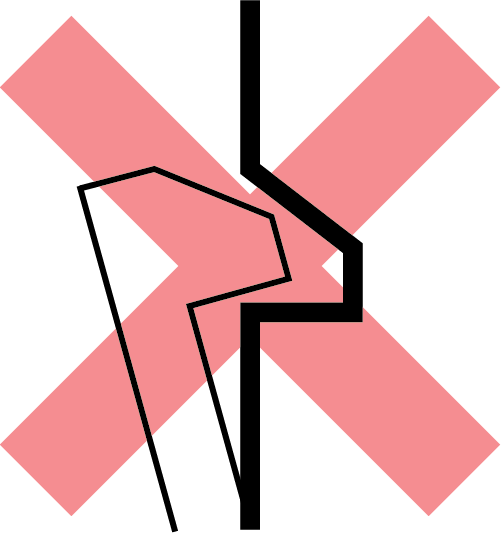 This protrusion is inserted into a cut-out or slot and deflects upon insertion. Once fully inserted the protrusion bends back locking the connection into place. Cantilever snap-fits are easy to design and intuitive for the user during assembly and disassembly. In many cases, it is the cheapest method of joining two parts together. The annular snap-fit utilizes hoop-strain to hold a pressed part in place. Common examples of annular snap-fits are bottle and pen caps. With annular snap-fits, it is possible to achieve a waterproof seal around the joint. For this article the focus will be on cantilever snap-fits. In general, snap-fits will encounter the most stress during attachment and should return to their neutral position once the joining process is completed. Once the parts are mated, an undercut holds them together. 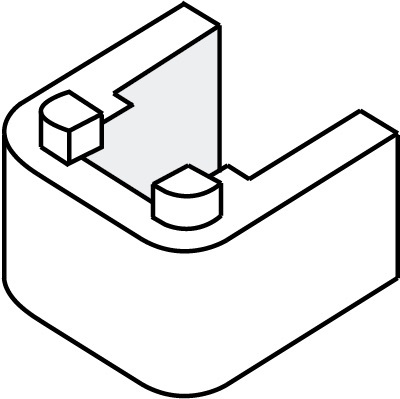 Depending on the shape of the undercut, snap-fit assemblies can also be designed to be permanent. A well designed snap-fit with suitable material can be used many times without any noticeable fatigue. 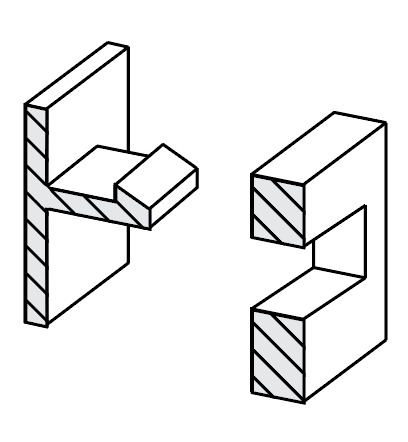 A snap-fit cantilever with constant cross section has an uneven distribution of strain (top image). 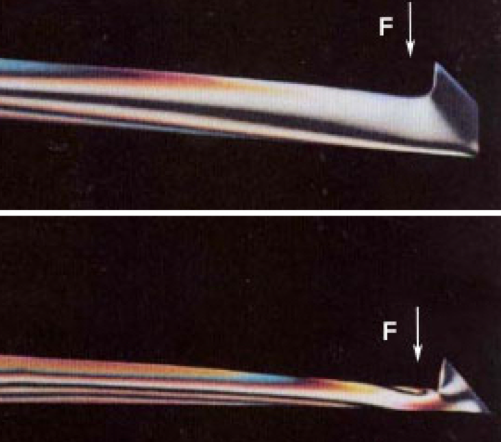 A good design tip is to diminish the cross section of cantilever beam over its length (bottom image). This uses less material and results in a more even distribution of strain in the cantilever. The addition of a fillet at the base of the cantilever can help to distribute the stress over a broader area making the connection stronger. 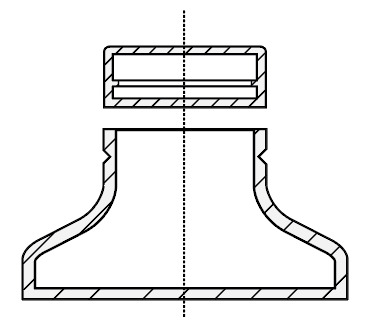 The radius of the fillet should be at least of 0.5x the thickness of the base of the cantilever. Increasing the width of the clip will add strength to the design (if this is feasible in the design constraints). This may require trial and error to achieve the correct stiffness however the clip should be at least 5mm wide. To help reduce stress and improve the strength of the connection ensure that the snap-fit cantilever is only deflected during the assembly and not when the components are connected together. It is important to consider build direction. 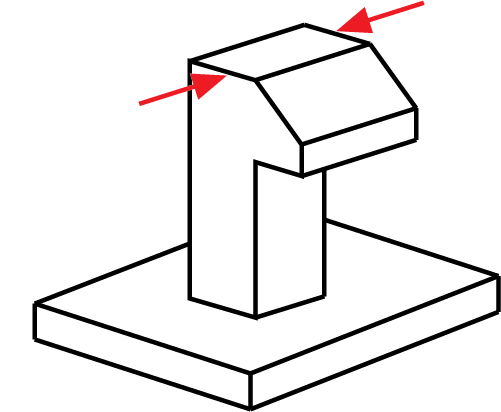 If possible try to avoid designing snap-fit cantilevers that are built up from the bed vertically (in the z direction) as these are inherently weaker due to the anisotropic nature of 3D printing. 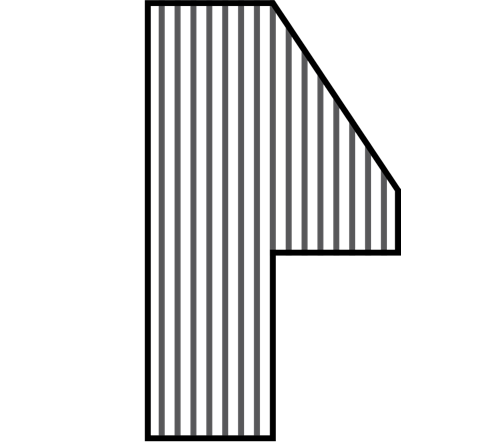 A snap fit built in the direction shown in the image to the left will be much stronger. Consider adding lugs into your assembly to assist with alignment of components and to transfer some of the shear loads that the clips may be subjected to. Advanced design of snap-fit connections is out of the scope of this article. For more detailed information on the design of cantilever snap-fits the MIT snap-fit design guide and snap-fit design for plastics offer excellent technical background and design specifications. Variations in 3D printing properties including printer calibration, print materials and printer technology mean there are no strict tolerancing rules when printing snap-fit connections. For FDM a tolerance of 0.5 mm is recommended, and a tolerance of 0.3 mm best for all other 3D printing processes. The table below discuss the main 3D printing technologies and whether they are appropriate for printing snap-fit joints. FDM Cheap and effective way of manufacturing snap-fit connections but lower accuracy than other printing methods. When printing with FDM it is recommended to use strain resistant materials such as ABS, Nylon and TPU. SLA SLA resins can be used for snap-fits, but are relatively brittle increasing the likelihood of breaking after repeated use. Durable SLA resin is recommended. SLS SLS is suitable for printing functional snap-fit prototypes or end use parts that will be opened and closed many times. For maximum tear resistance consider using an SLS Nylon. Material Jetting Good strength and elasticity combined with high resolution details makes Material Jetting good for snap-fit applications. Durable resin (PP-like) and Digital ABS are the most common materials for snap-fits because of their toughness and flexibility. Curious about the cost of prototyping with 3D printing? Use a 0.5mm tolerance for FDM snap-fit connections and 0.3mm for all other 3D printing processes. SLS Nylon is best suited for snap-fit connections due to its tear resistance. Prototyping plastics are ideal for design confirmation but are typically lower in strength than SLS or Material Jetting materials and are not suited for applications where the connection will be opened and closed repeatedly. 3DMuse's Hub – Mechanical engineer and DIY enthusiast. Technical research experience in additive manufacturing of polymers. Drones, electric skateboards and arduino based projects are currently consuming most of my free time. Learn how to optimize the design of your enclosure for 3D printing, follow a step by step guide on the design process and review the most common enclosure materials. Compare different methods for creating threads in your parts and follow step-by-step instructions on how to install your fasteners.